We are a family owned local business who have been serving the community for over 30 years! 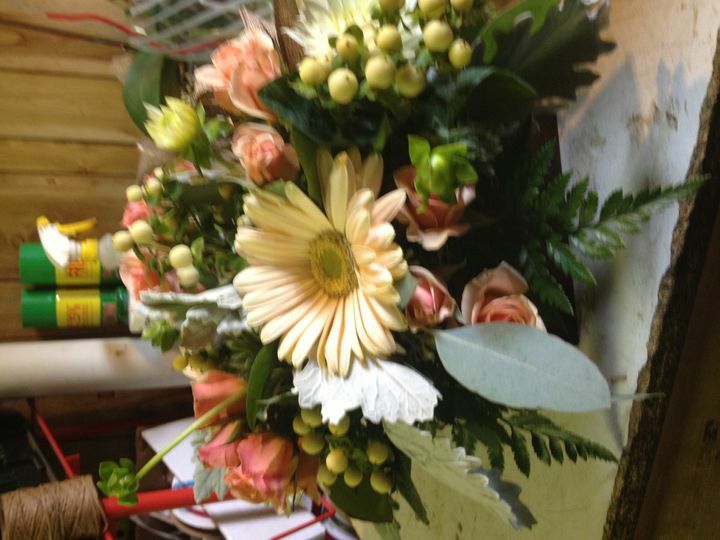 In 2009 we moved our shop to a larger location to better serve our floral family! We pride ourselves on quality and proffesionalism. 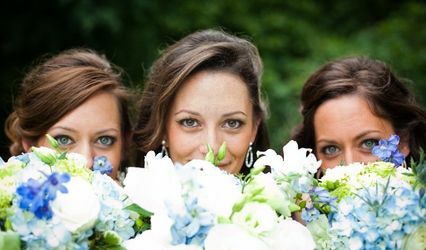 We are now on our 2nd generation of brides, After all the best referral is family and many of our brides from the last few years have brought in their moms with the wedding albums from their weddings. What a nice compliment for us that we were chosen to carry on the tradition. So whether you are a new cuxtomer or an old friend, stop in to see what we can offer and become part of our family!! My husband and I hired Bert & Peg's for our wedding and we cannot say enough about Pam, she is AMAZING!!! 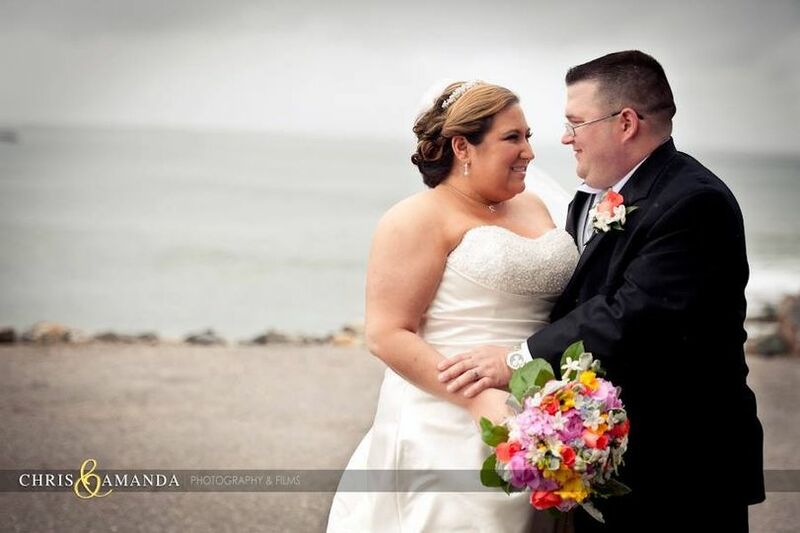 Hiring Pam was one of the best decisions my husband and I made for our wedding. I knew the moment we met Pam we made the right decision. 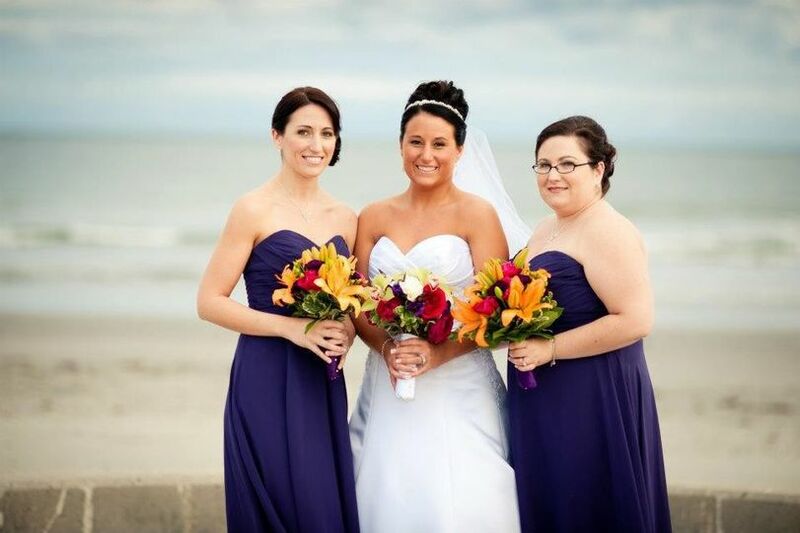 She made us feel like we were the only bride and groom she was working with. She’s personal, flexible and a true professional. 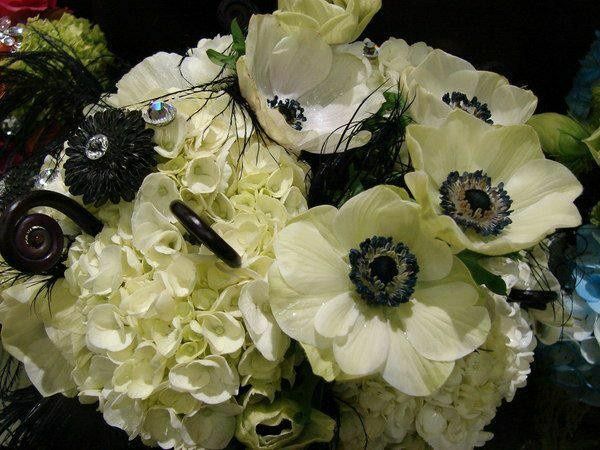 I can't thank Pam and her team enough for creating the most beautiful flowers for our wedding. Please look no further for a florist, you have found the best!!! Pam was absolutely wonderful to work with! She took a meeting with me without an appointment and was so accommodating. She is definitely an expert in her field and I trusted her judgement all the way. She is very easy to talk to, communicates well, and responds quickly. 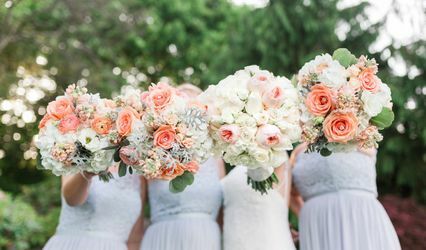 I told her what I wanted in my bouquets and when I saw them on our wedding day I was blown away. 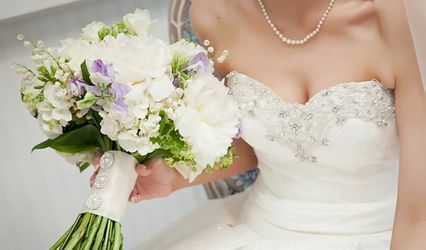 The flowers were jaw droppingly beautiful, way more than I could have ever imagined! 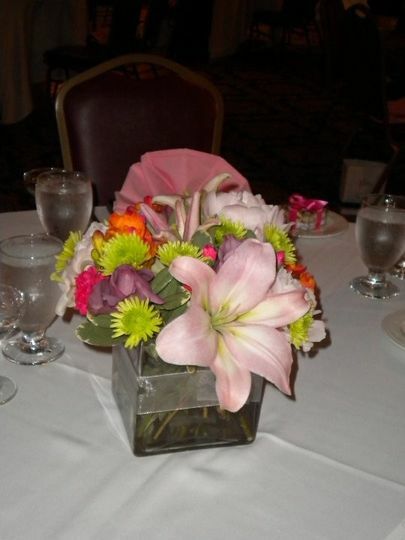 She had so many good ideas and suggestions for the centerpieces and really took care of everything for me. 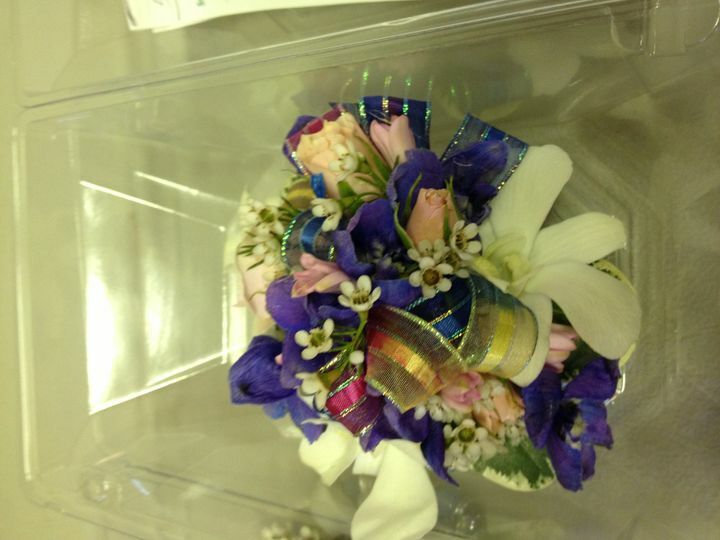 Words really can't express how wonderful everything was- from bouquets, to corsages, to centerpieces. 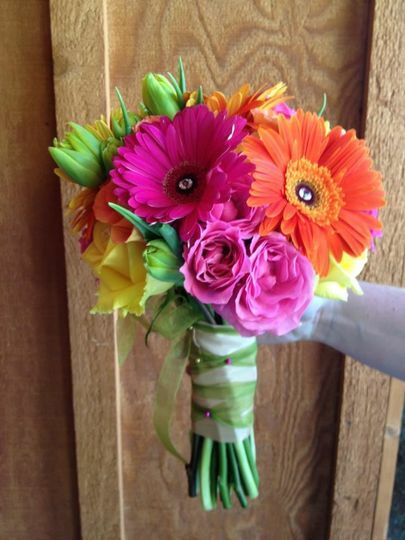 I would use Flowers by Bert & Peg for every occasion! Local and very friendly. 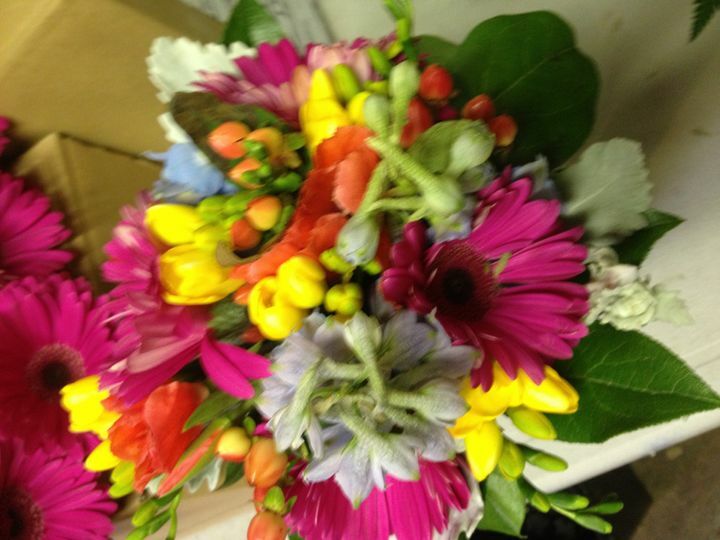 They are wonderful to work with, and easily fit our sonic screwdrivers into our bouquets. 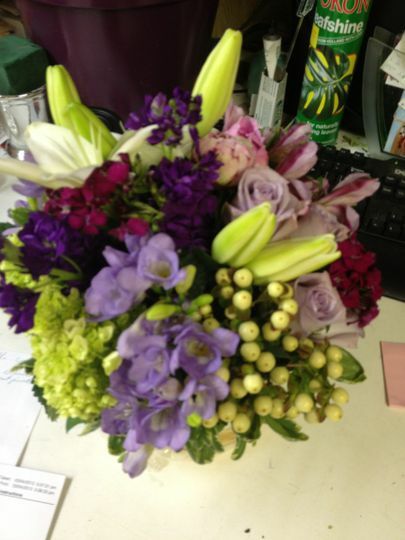 Thanks Kathleen, We thoroughly enjoyed working with you! !